Perhaps you just want to get a promotion at your current job or open more opportunities. Good, you are not alone. Who doesn’t want to make more money and be more successful or have better opportunities? The problem is most software developers don’t realize that they always need to be actively marketing themselves. I’ve written before about how you should be selling yourself and how everything is about selling, but part of selling successfully is marketing. I’m going to start with the most obvious thing and it really shouldn’t take you much convincing, since you are reading my blog right now. 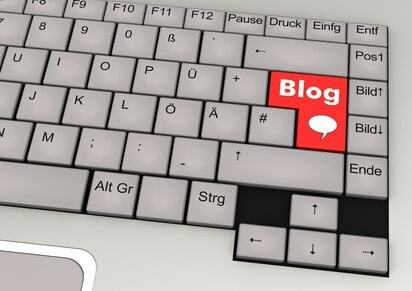 The easiest way to showcase your abilities and knowledge in the software development field is to create a blog. A blog allows you to show the depth of your knowledge much better than you could possibly do in a resume or in a short job interview. Hiring software developers is a gamble because anyone can make up some experience or pretend to know how to program. A candidate for a software development job can even memorize common interview questions or be exceptionally good at interviewing, but it is pretty hard to fake a blog. More importantly though, since this post is about marketing yourself as a software developer, a blog puts your name out there in the search engines for a variety of topics. All kinds of opportunities have come my way via my blog. Almost every major advancement in my career over the last 3-4 years has in some way been a direct result of my blog. Do you know of any “famous” software developers that don’t have a blog? Perhaps you do, but there aren’t many. 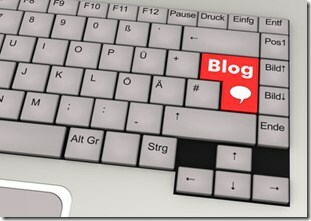 So it goes to show you, if you want to get your name out there, it is essential to have a blog. Starting a blog is pretty easy. In fact, if you are reading this post, there is a good chance you’ve already started a blog, but perhaps you haven’t seen much success from it. That is probably due to the hard part about blogging, which is keeping up with it. Anyone can start a blog, but to be successful at it and to really see its benefits, you have to be consistent. This doesn’t mean you have to blog 3 times a week, but it does mean that you have to be blogging at some regular interval and you have to keep it up for a long time. An easy way to get started is to use a shared hosting plan, like the one I am currently using at BlueHost, to create a simple WordPress site very quickly for a very cheap price. If you get bigger, you eventually might need to scale out, but this is a good and fast cheap way to get started. Selling is easy if you don’t have to sell. What I mean by this is that it is much easier to “sell” a product into an existing audience than it is to go out and look for people to buy your product. No one wants to be sold anything, but people like to find solutions for their problems and help people they like. So what does this have to do with marketing yourself? Well, the next time you need a job or you are looking for a new opportunity, or even if you planning on selling a product or starting your own business, don’t you think it would be great if you could just reach out to people who already know and like you rather than cold calling recruiters or sending out impersonal cover letters en masse? The best jobs I’ve gotten in my career and every good opportunity has been the result of someone from my network either bringing the opportunity to me or helping me get my foot in the door. I am actually working on a product right now that will help software developers learn to market themselves and when I launch this product I’ll already have a large audience of potential customers from my network. Building a network isn’t difficult, but it takes time and it does take some effort. 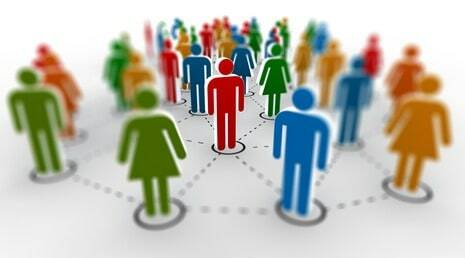 Networking is not about finding out what other people can do for you, but finding out what you can do for other people. The easiest way to build a network is to start helping people and taking an interest in what they are doing. You should have the mindset of always networking. Every new person you meet, every person you interact with online is potentially someone who can become part of your network. And remember networking is all about what you can do for someone else, not what they can do for you; whether you believe in it or not the principle of Karma is real. You hear about personal brands quite a bit these days, but people are often pretty confused about what a personal brand is. I overheard someone on a HGTV design show talking about how their personal brand was all about industrial looking modern designs or some other hogwash like that. That person, although they were an experienced designer, didn’t understand the key concept about a personal brand: it is no different than corporate branding. Branding is all about sending a consistent message that is recognized by some repeated stimulus which when seen instantly reminds the viewer of that message. For example, when you see the famous golden arches, you probably think McDonalds. And when you think McDonalds, you probably think Big Macs, Quarter Pounders, Happy Meals and Egg McMuffins. No matter where you go, if you are driving down the highway and pull off an exit to go to a McDonalds, you have a certain set of expectations about that place, which you have come to expect from repeated exposures to a consistent message associated with a distinct set of imagery. Building a personal brand is no different than building a brand like McDonalds or Starbucks or any other brand. Decide what imagery you are going to use, and the message you are going to convey, and do it consistently. For instance, if you come to my blog, you have a certain set of expectations about what kind of posts you will see here. You know that you won’t see some crap that I threw together in 5 minutes just so I can get a post out. You know that you are likely to get something technical, like Getting Started with Dart, or something more about developer psychology and principals, like this post. I don’t have the budget of a company like McDonalds, and I’m still learning about personal branding myself, but everywhere I go I try to present a consistent visual image and message. I use the same logo for Simple Programmer everywhere, and I include the same headshot, and almost all of my content somehow relates back to the idea of making the complex simple. That is what I do. I make the complex simple, whether through creating online courses for Pluralsight, writing articles in my blog, doing YouTube videos or even podcasting about Health and Fitness. I want you to understand that when you see my logo or you see my name, you are going to be dealing with someone who genuinely wants to help you understand things that sometimes seem complex and understand how simple they really are. So, if you want to get started building a personal brand, decide your message, decide the visualization you want to associate with that message, and start using it consistently everywhere you can. Marketing isn’t easy, but it is an essential skill that most software developers don’t realize they need to have. Most software developers—myself included, for most of my career—think of career advancement in terms of acquiring new skills and climbing the corporate ladder, but a much more effective way to think about career advancement is to think of yourself as a business and treating your skills and unique talents as an offering that you actively promote. This fundamental change in mindset is critical to taking your career to the next level and making a name for yourself in the world of software development. That is exactly why I am building a product around this idea that will show you exactly step-by-step how to do it. The product itself is top secret right now, so I can’t reveal too much about it, but you can be sure in my upcoming blog posts and YouTube videos that I’ll be revealing more information. If you are really eager to be one of the first to find out what I am doing and want to know about this mysterious product the moment it comes out, you can reserve your spot in line, by signing up here. I’ll be offering some free goodies and other stuff to some of the first people who sign up as I get closer to the product launch and need to get some early testers. Update: The product is out. Get it here: How to Market Yourself as a Software Developer.